We celebrate International Women's Day with a list of women who inspire us with their integrity, courage and creativity. 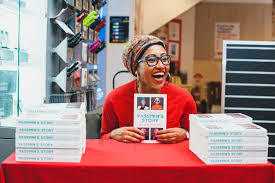 Yassmin Abdel-Magied is a social commentator, founding member of Youth Without Borders and young Australian engineer. Read more about about her in Yassmin's Story to be released later this month. Harper Lee, who sadly passed recently, wrote one of history's most important books. To Kill a Mockingbird's vivid storytelling exposed decades of readers to the cruelty of racial intolerance. Malala Yousafzai, the youngest recipient of the Nobel peace prize and author of I am Malala who stood up for education and was shot by the Taliban. Patti Smith, the singer-songwriter and poet who influenced the punk movement. Revisit her music in Freegal or read her books Just Kids and and M Train. Iran Awakening describes the the powerful life of Shirin Ebadi, female judge and Nobel Prize winner, before, during and after the revolution in Iran. Robyn Davidson journeyed alone through the Australian outback with a team of camels in the 1970s. Tracks records the connections she made with the people, landscape and and her own identity. 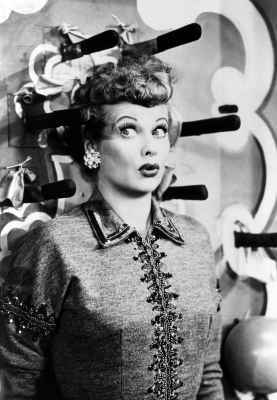 Lucille Ball - writer, performer and producer was a pioneer of television comedy. You can watch I Love Lucy and The Lucy Show on DVD and via indieflix. Enjoy these and countless other stories of female achievement in the Library's digital and printed collections.